Five suspected kidnappers terrorizing communities in Rivers state, as well as Emohua axis of the East West Road, have been arrested and currently in custody of the Inspector General of Police Monitoring Unit in Rivers State. According to a Daily Post report, the suspects currently undergoing investigation at the office of the IGP Monitoring Unit in Aluu, Ikwerre Local Government Area of the state are popularly called Ocean Potopotor, Wyclef, Uche, and Ruddy. One of the suspects has been linked to the abduction of a man at Ibaa-Obelle two months ago. The man allegedly died in their custody and was later dumped in a well. Four other suspects who have been allegedly linked to several kidnapping incidents along Elele-Ndele Rumuji-Emohua axis of the East-West Road are also being interrogated. 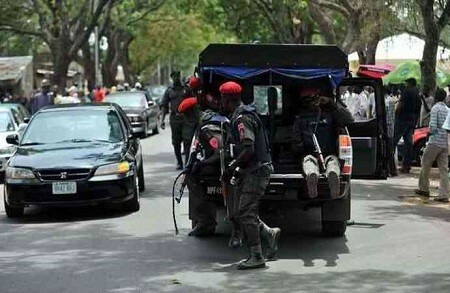 Commander of the IGP Monitoring Unit, Banneth Igwe, a Deputy Commissioner of Police confirmed the arrests. DCP Igwe said the other suspects are helping the police with information that may lead to the apprehension of other members of the gang and their sponsors. “We were able to identify the boys that were making that part of East-West road uncomfortable especially for travellers. They are helping us with information because our target is to identify their sponsors,” he said.